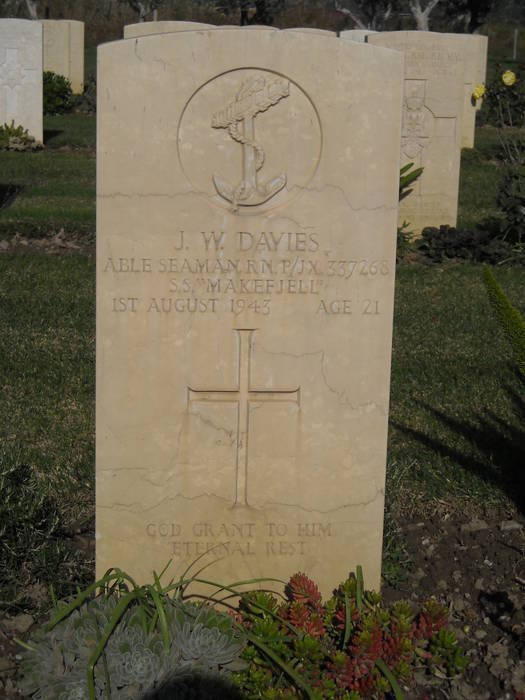 John William ‘Bill’ Davies was born around 1922, in Longport to Samuel and Jane Davies, and they had a number of children. The family lived at 11 Princes Square, Longport. 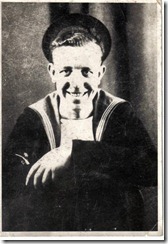 He served as Able Seaman John William Davies, Service No: P/JX 337268 serving in the Royal Navy at H.M.S. President III attached to merchant ships. 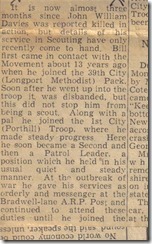 He crossed the Atlantic on the convoy runs to Nova Scotia at least two times. 2 At the time of his death, he was serving on D/S Måkefjell which was a Norwegian merchant vessel. He was on this ship as a gunner deployed on Defensively Equipped Merchant Ships. 3 The ship was recorded as being at the port of Bizerte in Tunisia on the 23rd July 1943 and back at this port on 5th August 1943 4, presumably as part of Operation Husky, the Allied invasion of Sicily. 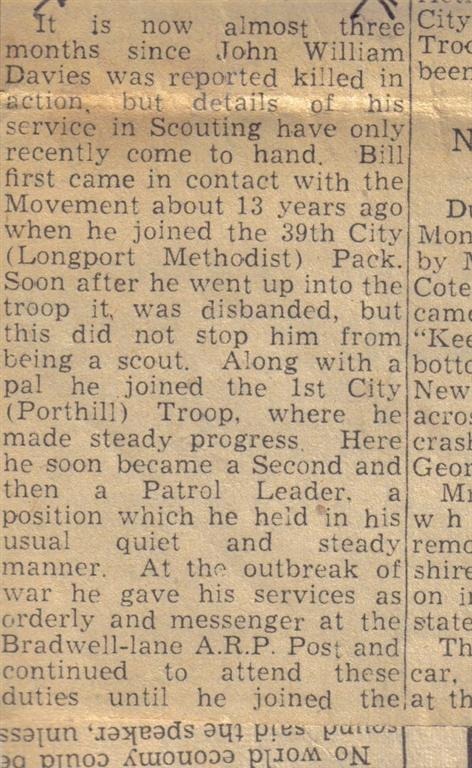 After Bill was killed there was an article in the ‘Scouts and Scouting’ written by ‘Scoutmaster’ or ‘A.S.L.’ published in the Weekly Sentinel. The below comes from that column, probably from October 1943. 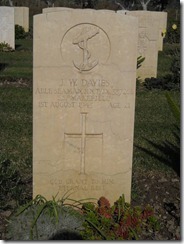 He is commemorated and buried at Catania War Cemetery, Sicily, Italy and in the St. Andrew’s Church Book of Remembrance.